The server password contains special characters. A bug in sc_trans, the software that powers the Auto DJ means that any server passwords containing special characters will cause problems displaying and updating metadata. A workaround, is to only use alphanumeric characters in your password. 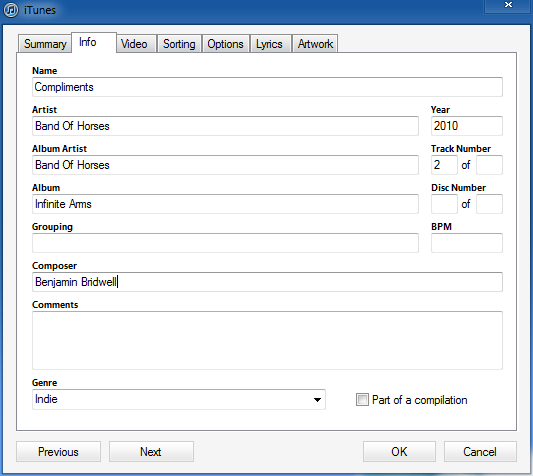 MP3s affected have invalid, corrupt or missing ID3 tags. 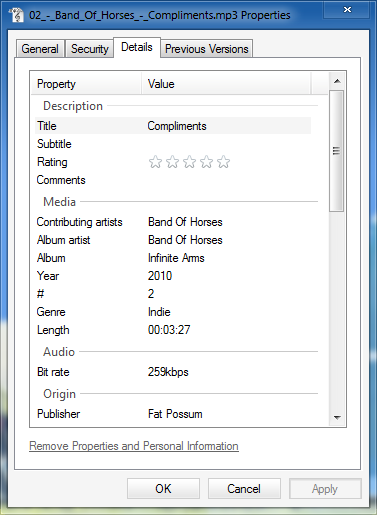 You can edit the ID3 tags of MP3s in Windows 7 or some media players like iTunes. The Auto DJ will read the track title from "Title" ("Name" in iTunes), the artist from "Contributing artsts" (sometimes displayed as "Artists"), and album from "Album". 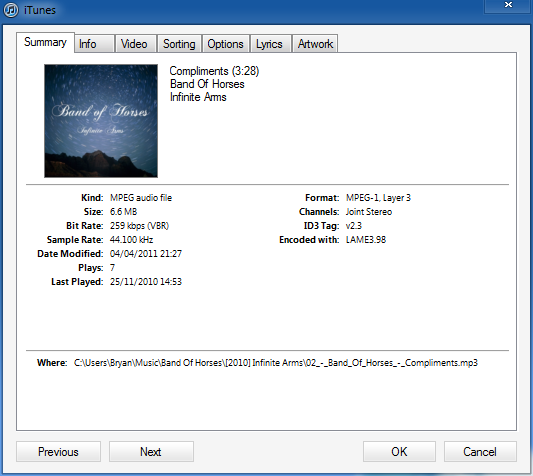 For most people, you won't need to be concerned about these limitations as most media players and tag editors will write the ID3 tags in formats that can be read by the Auto DJ.